"We are members of the Likud and I support a Likud candidate for mayor of Jerusalem," says MK David Amsalem. Coalition chairman MK David Amsalem (Likud) announced in an interview with Army Radio on Sunday that he supports Ze'ev Elkin for mayor of Jerusalem. "We are members of the Likud and I support a Likud candidate for mayor of Jerusalem, Minister Ze'ev Elkin. From the moment the Prime Minister said that he supports Elkin, I support him as well," Amsalem explained. "His support is a significant addition following the support of Prime Minister Binyamin Netanyahu, as well as the ministers and MKs of the Likud. The Likud is united in supporting me in the race for mayor, and I have no doubt that together we will win," Elkin added. 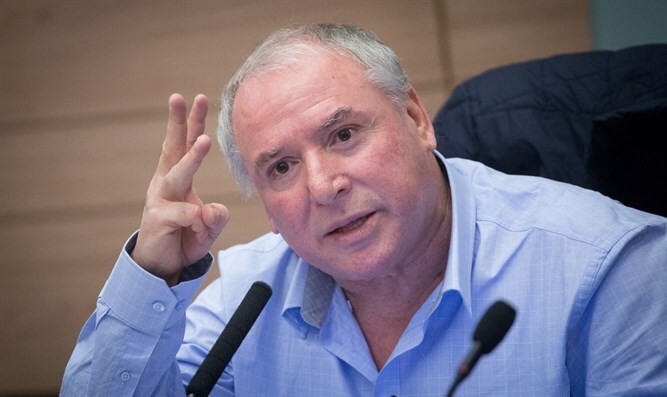 Elkin recently told Arutz Sheva that the upcoming municipal elections are "critical" for Jerusalem's future and offer "a real opportunity for Religious Zionism to lead Jerusalem." "In my eyes, the city's future, and the enormous challenges it is facing are more important than any political job, as good a job as it may be," he said. "The Prime Minister, as well, invested more than a few hours in attempting to convince me to remain in the government. I told him that Jerusalem decides the future of the Jewish nation. The city's challenges influence not just today but also many years into the future. Jerusalem contains the State of Israel's future DNA. It's a great merit and a great responsibility to be part of this process." The Jerusalem mayoral race is seen as wide open ever since current mayor Nir Barkat announced he would not seek re-election in October, and would instead submit his candidacy for the Likud list for the Knesset elections in 2019. A recent poll showed candidate Ofer Berkovitch is currently leading the Jerusalem mayoral race.